You will be amazed to know that we have the best popular casino party games with us that can engage your guests and make your casino nights successful events like never before. You Bring the Guests..We Supply the Rest. Let’s not forget to make a mention for offering all these casino games in the Vegas glamorous style without any hassle. We at BAM Casino Parties, Walnut Creek can handle various types of parties and ensure an easy way to plan, execute and prepare a stress-free party environment that can be remembered for years. For us the size of the parties doesn’t matter, be it a small reunion, a fundraiser event, themed casino party or a huge wedding event, we are there to help you with the best. Our dealers are a mix of enthusiastic professionals who can go long way ahead to entertain your loved ones. Choosing to have a casino party for corporate events, meetings, conferences, birthdays and get-togethers is way too out of the box and your guests will remember this for their lifetime and will definitely wait for your next party. We at BAM Casino parties, Walnut Creek, pride ourselves in our ability to make your event unique and special. We believe that our huge success is because of our clients trust in us and we treat your event as if it’s our own. We ensure that this party becomes the perfect way to entertain your guests in the best popssible way. Whether you want to impress your clients or motivate your team fellows, we create a soothing atmosphere for the most comfortable interaction between the people. Budget? Don’t worry about this! We let you decide how much you are willing to spend on your party. Based on the funds, we make a list of necessities, props, and add-ons. Theme – You can pick any theme to add glamour to your party. From a Las Vegas theme to 007 casino party theme, we have endless options for you. Experienced Dealers – A well-experienced team of professionals will take care of each and every activity. Our dealers are well-trained in making your event authentic, entertaining and fun for your guests. 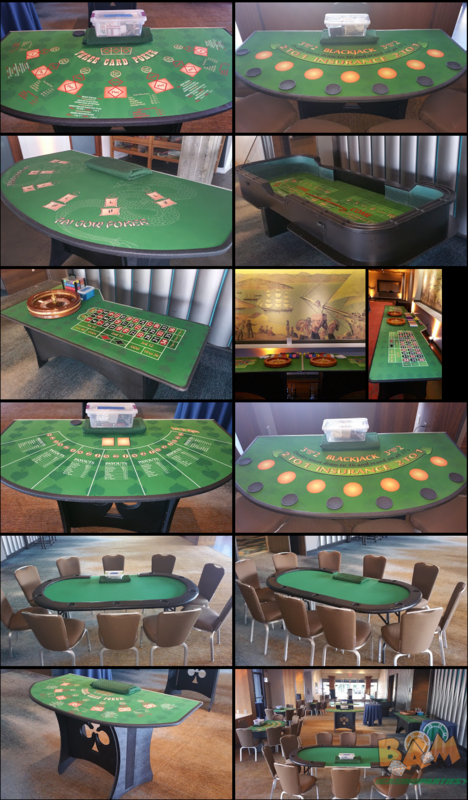 Equipments – For your convenience, we have a wide range of casino party rentals in Walnut Creek that will help you in choosing a variety of games and options to offer the best casino night experiences. Our ability to make your every casino event unique and special for you as well as your fellows brings us success. We believe that we are serving as a successful firm just because of the two reasons, our clients trust in us and our dedication towards giving them the best. Each and every party is custom designed keeping in mind your requirements, ideas and budget to offer you with a picture perfect gaming memories. Whether you belong to a corporate firm, school, charity based fundraisers or family, we can deliver the best for your next event. Our approach in planning, managing and keeping your guests engaged in the party can make your day and can turn your guests head over toes. Keeping in mind your convenience, we have a high-quality casino party rentals that allows you to relax with the party types of equipment coming at your desired places without having you to travel several miles. 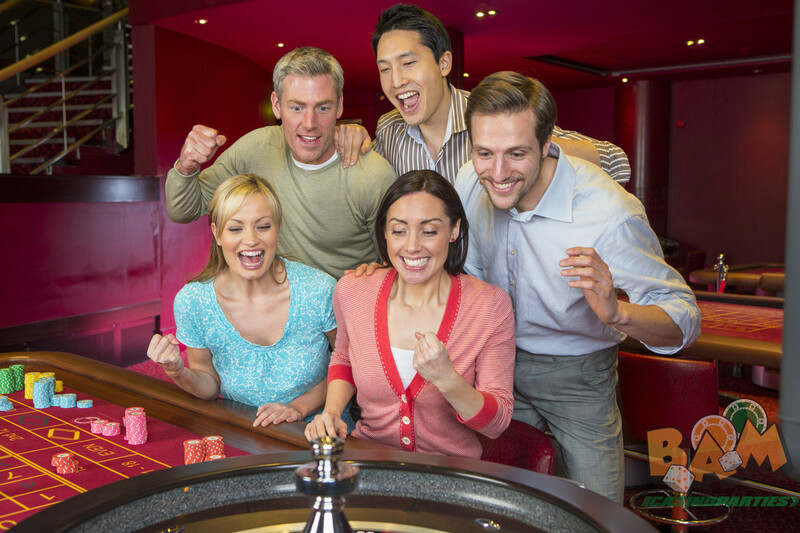 At BAM Casino Parties, Walnut Creek, we bring all the fun at your place. Our casino nights and casino parties are one of the most exciting events appreciated by the families, friends, and employees. We are perfectly able to custom configure your party ideas to fit into your event’s program. Blackjack: Known as twenty-one, one of the most widely played casino banking game in the entire world. It’s a comparing card game between a player and dealer, that means the players will compete against the dealer but not against any other players. Craps: A dice game in which the players make wagers on the outcome of the roll, or a series of rolls, of a pair of dice. Players take turns rolling two dice and whosoever is throwing the dice is called the “shooter”. Roulette: In this game, players may choose to place bets on either a single number or a range of various numbers, the colors red or black, or whether the number is odd or even. Poker: A family of card games involving betting and individual play, whereby the winner is determined by the ranks and combinations of their cards, some of which remain hidden till the end of the game. In a casino, a house dealer handles the cards for each hand, but the button (typically a white plastic disk) is rotated clockwise among the players to indicate a nominal dealer to determine the order of betting. San Francisco, Millbrae, Daly City, Hillsborough, Burlingame, Oakland, Alameda, Fremont, Sunnyvale, Hayward, San Ramon, Union City, San Carlos, Redwood City, Atherton, Milpitas, Palo Alto, Los Altos, Mountain View, Santa Clara, San Jose, & many more.